Mi Familia Vota is in the forefront of the nation-wide campaign to win comprehensive reform with a path to citizenship by mobilizing the Latino community at union halls, churches, schools and community centers and taking meaningful action. 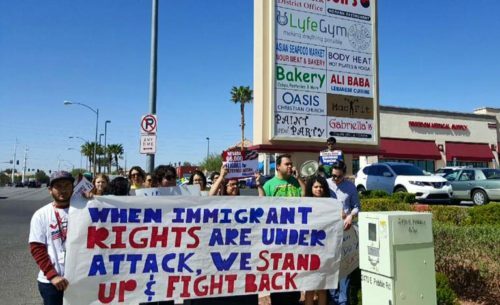 For many years, we have helped lead national and local coalitions in the fight for immigration reform. From the passage of a bi-partisan bill in the U.S. Senate to the fight in the Supreme Court for the implementation of DACA+ and DAPA, our work helps educate, empower, and mobilize the immigrant community.